Final Verdict Added 01/03/2013: After having used these batteries, along with some older Energizer, for some time I’m not left with the impression that they’re any better. Perhaps they perform better in a laboratory but I’ve found they’re just as likely to be discharged (or nearly discharged) as the Energizers when I need to use them and this is despite recharging all of the batteries at least a few times a year in an attempt to ensure they’ll be ready when I need them. I’m not convinced that they’re worth the premium charge, especially since they typically have less capacity than similar batteries that cost less. As far as batteries are concerned they seem fine but I just haven’t had an experience that leads me to believe that they are superior. It’s easy for me to remember the rechargeable batteries that my dad used to have. It seems that it took forever for them to recharge and they were much more expensive than current rechargeable batteries. Several years ago I started using Energizer rechargeable batteries along with a charger by the same company. In general, I typically used them in digital cameras or entertainment remotes. They worked well though tended to discharge fairly quickly when not in use. A couple of years ago my wife purchased a battery charger from my wish list, which has extended the life of the Energizer rechargeables. 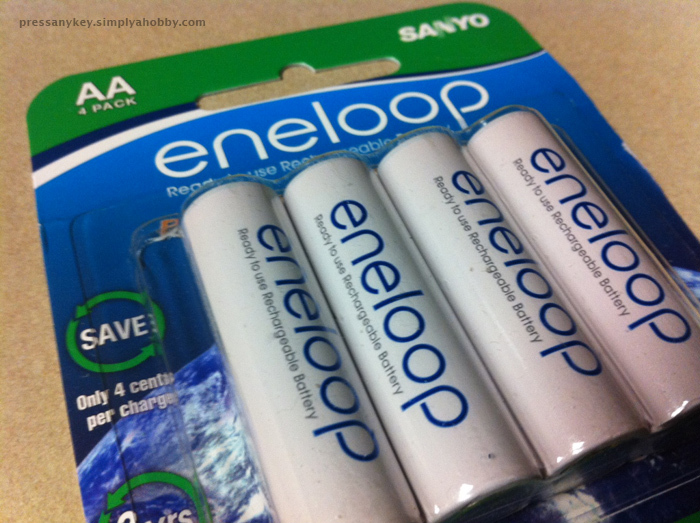 However, every once in a while I’d find a mention of the Sanyo Eneloop brand that caught my attention. I’ve still been purchasing regular batteries for other devices but last week I decided to drop a little bit of cash into more rechargeables so I could significantly reduce our need for standard batteries (think of it as my little way of “going green”). 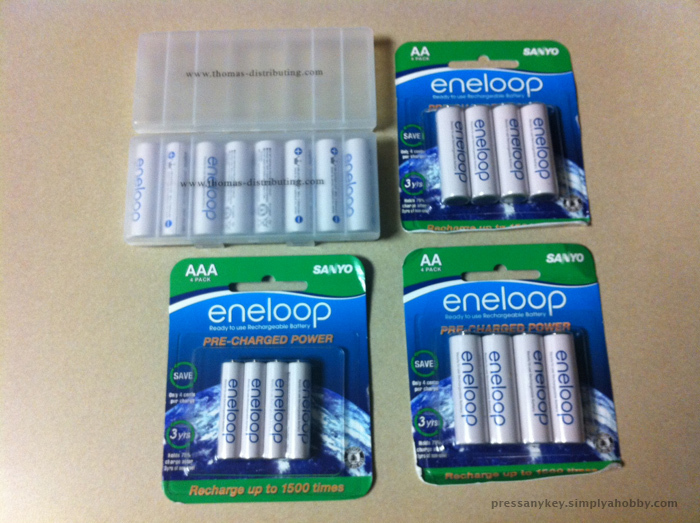 I purchased a pack of 16 AA Eneloop rechargeables along with a pack of 4 AAA. A nice little bonus was included in the AA pack by the company that fulfilled the order – two plastic cases that hold eight batteries each. The cases keep the batteries from rolling around in the drawer where I store them. The batteries are advertised as pre-charged. Either they were not fully charged or they had been sitting on a shelf for a while. My charger indicated they needed additional charging though I didn’t track how much was required to get them up to full status. At this point I have no experience regarding whether or not these are any better than the Energizer batteries I previously purchased. I have yet to need to use them. I’ll return to this post with new information, if I have any later on. They’re advertised as having a lower discharge rate than most other rechargeables, though there’s a trade-off. They also have less capacity than most of my Energizer rechargeables.